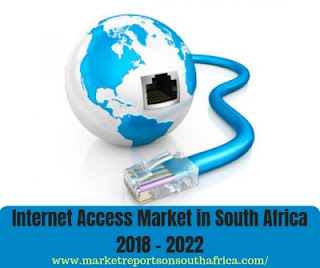 Market Reports on South Africa Provides the Trending Market Research Report on “Internet Access in South Africa Market Outlook to 2022” under Media and Technology category. The report offers a collection of South Africa market Trends, South Africa market analysis, South Africa business trends, and South Africa market size and growth. Internet Access in South Africa industry profile provides top-line qualitative and quantitative summary information including: market size (value and volume 2013-17, and forecast to 2022). The profile also contains descriptions of the leading players including key financial metrics and analysis of competitive pressures within the market. Essential resource for top-line data and analysis covering the South Africa internet access market. Includes market size and segmentation data, textual and graphical analysis of market growth trends, leading companies and macroeconomic information. The South African internet access market had total revenues of $9,879.5m in 2017, representing a compound annual growth rate (CAGR) of 14.6% between 2013 and 2017. Market consumption volume increased with a CAGR of 5.5% between 2013 and 2017, to reach a total of 30,550.8 thousand subscriptions in 2017. Growth has been capped by the lack of physical infrastructure in rural areas of South Africa. Save time carrying out entry-level research by identifying the size, growth, major segments, and leading players in the internet access market in South Africa. Use the Five Forces analysis to determine the competitive intensity and therefore attractiveness of the internet access market in South Africa. Leading company profiles reveal details of key internet access market players’ global operations and financial performance. Add weight to presentations and pitches by understanding the future growth prospects of the South Africa internet access market with five year forecasts by both value and volume. What was the size of the South Africa internet access market by value in 2017? What will be the size of the South Africa internet access market in 2022? What are the main segments that make up South Africa's internet access market?